There is a lot to catch up on and it has been a busy month or two. The 10th of June marked Matthew and Diane’s 20th wedding anniversary, and this was soon followed by the three year anniversary of Matthew’s amputations (16th June). It’s a strange kind of celebration these days, but always with an appreciation that we’re here and happy to be so. This year’s ‘ampuversary’ also marked the arrival of a new set of hands. The arrival is the culmination of many trial pairs, some re-engineering of the thumb and redesign of the glove, and lots of dropped objects and a lot of patience. The final set are skin-coloured with wrinkles and fingernails. Emily is particularly excited about the prospect of painting daddy’s nails. Matthew’s new hand, holding Di’s, complete with wrinkles and fingernails. They are incredibly realistic and provide Matthew with a better ability to position his hands and use his iphone. 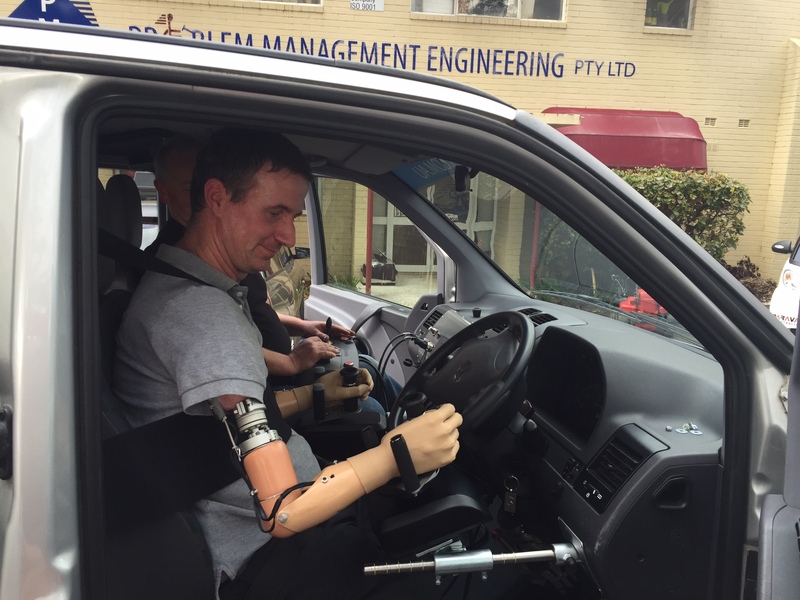 The manufacturer of the hands, RSL Steeper, in Leeds (UK) have been great at providing some bespoke (‘hand made’ – excuse the pun) solutions for Matthew through his prosthetist Richard Fejer, who is based in Melbourne. Richard visits Brisbane regularly. The next step is a set of wrist rotators which will help Matthew eat independently, which he is looking forward to, and these should arrive in the next month. What Matthew has learned about physiological function includes knowledge that to get a spoon level into a mouth, a wrist needs to flex, but the new wrists will only rotate. There is not yet the technology for motorised flexion. This means eating will continue to be a challenge and Matthew says he has learned to eat what he knows can make to it to his mouth rather than what he likes. No soup, spaghetti, and rice in public for him! At the end of June, Matthew was involved in a launch with the University of Queensland’s Institute of Microbiology (see http://www.uq.edu.au/news/article/2015/06/global-search-next-antibiotic and http://mobile.abc.net.au/news/2015-06-18/new-antibiotics-needed-to-fight-drug-resistant-superbugs/6557222) which is a great initiative. 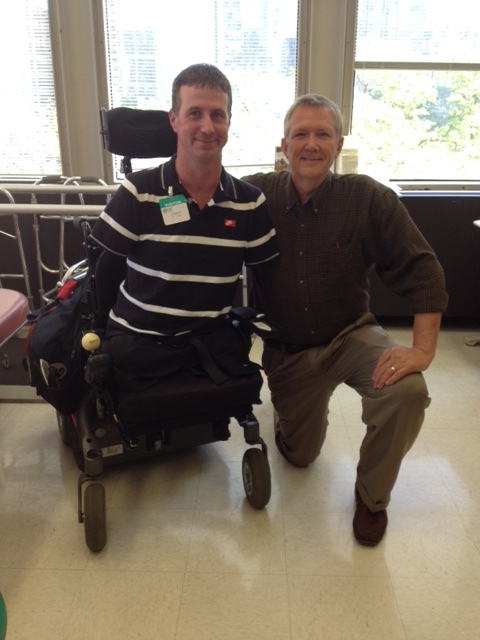 Matthew and the family then traveled to Chicago to visit the Rehabilitation Institute of Chicago where he was investigating the option of targeted muscle re-innovation (TMR) as a means to drive his hands in the future. Dr Todd Kuiken is one of the world’s leaders TMR (you can see his TED talk on prosthetic arms) Those who have read Will to Live and are familiar with the story would know that a trip to Disneyland was in the planning when Matthew became ill, and was cancelled at the time, in late 2012. QANTAS had at the time also donated tickets for the family to travel to the US, so between that and travel insurance, the family was able to finally get to Disneyland en route to Chicago. 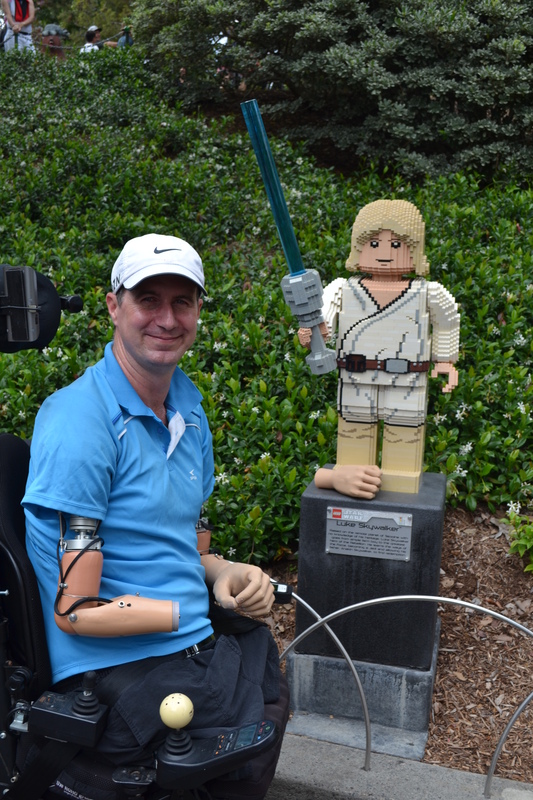 Matthew loses his hand to ‘Lego Luke’ at Disneyland. 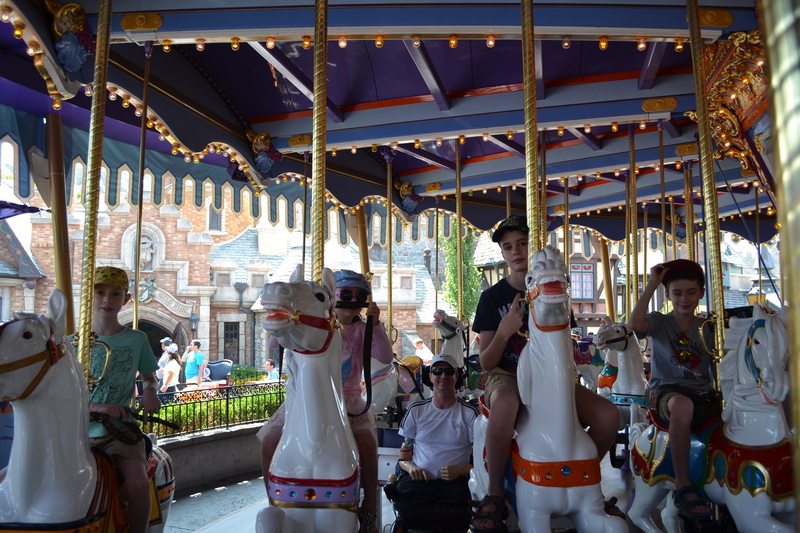 Disneyland was well set up for people with a disability and Matthew was able to join the kids on quite a few rides. He did a lot of carousels with Emily. You’ll find him in the background! Matthew with Todd Kuiken in Chicago. Todd is a leading expert in TMR technology. Most recently, Matthew tested his ability to potentially drive a car with a specialist engineering company and in Sydney. He was accompanied by occupational therapist Tom Eley and after much problem solving the two successfully found a way for Matthew to safely control a vehicle. In theory, Matthew would require a similar setup to that needed by someone who is a quadraplegic. You can have a look at the technology (called Space Drive) here. Diane says Matthew got quite emotional doing his laps of the car park at the sense of potential independence. Matthew testing out his ability to potentially drive a vehicle. You’ve got to love the name in the background of the photo – ‘Problem Management Engineering’, probably our father’s idea of mecca. Finally, in thinking ahead about work opportunities, Matthew has commenced a company director’s course. He hopes this will enable him to work with organisations in a way that makes the most of his previous corporate experience given his current circumstances. So it has been a very busy month, doing lots of ‘looking ahead’. We’ll keep you posted on further progress. Good on you Matthew and Dianne, belated Happy Anniversary to you both! Your life journal is always inspirational and informative. The use of technology is fascinating! I do hope Matts future mobility is enhanced to a high level that will bring him individual freedom and independence. Thanks for the lovely comment. We never forget that Matthew’s ability to investigate what technology can do for him is possible thanks to the support of so many people who have helped raise funds for prosthetics, and we continue to share the journey so others can learn as we go, just as we learned from others in the early days. 🙂 Kate. Belated Happy Anniversary to Matthew and Dianne. Great to hear all the progress that has been happening. We think of you all often! Take care and look forward to the next update. I was given the book Will to Live for Christmas, what a wonderful book of a wonderful man and family. Thank you for sharing your journey and I will look forward to keep hearing of your progress. I worked in a rehab Hospital as Physio Assist for 26 years and really enjoyed it, we had a big Amputee Department and I was always so amazed at how people came to terms and picked them selves up and made the most out of their lives. Hi Chris. Thanks for your lovely words and good luck with your own journey. Everyone has their challenges, so take care and best wishes, Kate.